Decrease the amount of salt in the recipe overall, either by eliminating the salt from the Cornflake Crunch or by using unsalted butter in that piece of the recipe and then eliminating the salt from the main recipe. Arrange the marshmallows in groupings of 3 or 4 pressed into the top of each mound of dough before chilling, rather than stirring them in. Obvs, put less cookies on each pan. So, maybe now that I've typed those things it would be worth a second try. How about this, YOU try it with those changes and let me know how it goes! 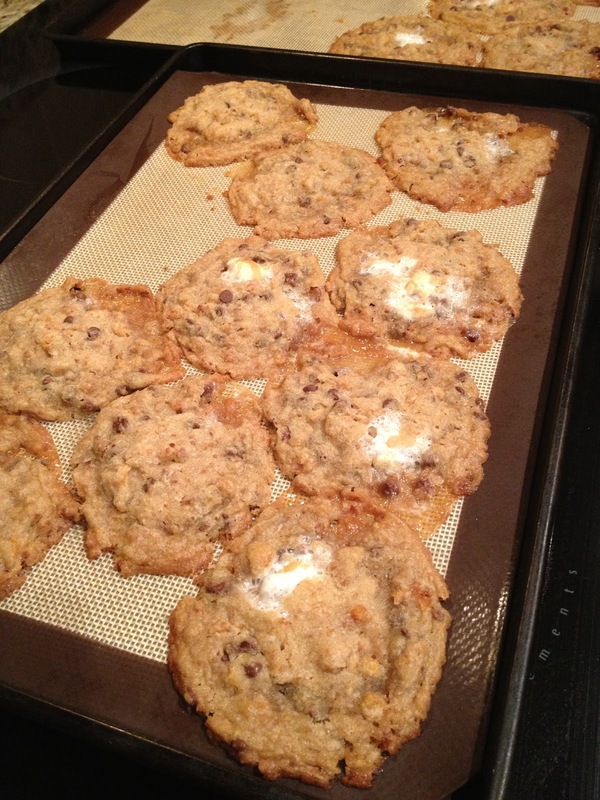 TGIP Rating--Cornflake Chocolate Chip Marshmallow Cookies--MEH. I could really take them or leave them. Undecided as to whether it's worth a second try with more alterations. Next up: I'm going to try these Cake Pops (except I'm making mine without sticks, so...cake...balls...sorry) that are all the rage nowadays. I'm making them the old-fashioned way (and by "old-fashioned", I mean the completely easy way, the way they were originally conceived, with boxed cake mix and canned frosting). Yes, I am. But, I think, in this one instance, the point isn't that they are the most amazing things you've ever eaten, but that they're cute. That's what I'm going for. Cute baby pumpkins.